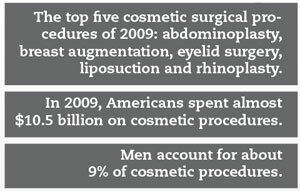 According to the American Society for Aesthetic Plastic Surgery, 9.5 million surgical and nonsurgical cosmetic procedures were performed in 2010 in the US. Yet controversy continues to surround this area of medicine. It might be because the very name itself is a bit of a misnomer. Modern convention deems anything plastic as superficial and somehow less than credible. However, the name derives from the Greek “plastikos,” which in fact means “to mold.” And the history of plastic surgery can be dated even further back—written records 4,000 years old document treatments for facial injuries. Between then and the 20th century, plastic surgery remained somewhat on the fringe of common medicine. But the onset of modern war brought innovations and considerable advancements in technology that moved plastic surgery to the mainstream. In recent decades, both aesthetic and reconstructive arenas have developed technologies to advance the ease and precision of the processes, as well as decreasing healing times and mitigating scarring. Positive self-image is the elusive quality that affects not only a person’s confidence but also their competence in handling daily challenges in personal and professional realms. Men and women regularly struggle to improve their individual sense of self whether it be via physical exercise, weight training, skin care, improved diet or a more conscious balance of all of these combined. Yet active lifestyles, consuming careers and limited personal time might hinder one’s ability to successfully achieve a goal, making the desired physique or enhanced personal appearance unattainable. The ubiquity of plastic surgeons on Long Island is not only an indication of demand for these procedures, but also a sign of high levels of competition, which serves to raise the bar on expected levels of excellence. As a result, advancements in plastic surgery continue, bringing safer and more precise treatments more within reach than ever before. And post-procedure healing is also improving, which means limited downtime and less to no scarring. In other words, good news for those considering a procedure. 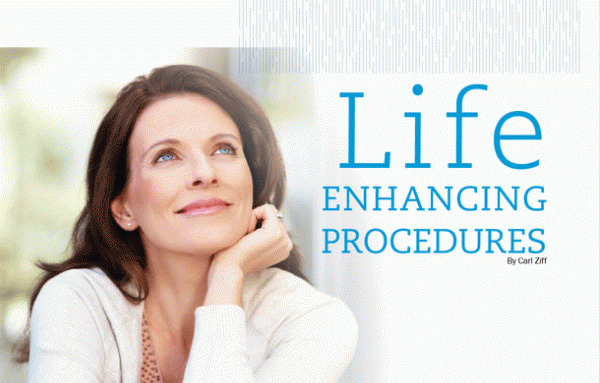 Individuals who have been considering a procedure can act on their ambitions with greater confidence than before. 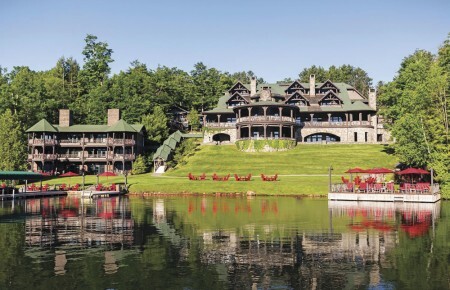 Decades of controversy have brought accountability and ethical standards to the fore. Industry organizations and the FDA keep plastic surgeons communicating both within the community of peers and with the outside public. Regulations, peer reviews, higher standards and scrutiny from outside agencies ensure safety and protect patients’ rights. Given the endless number of plastic surgeons on Long Island, it’s easy for those considering a procedure to feel overwhelmed. So what are the tells that differentiate one doctor from another? For one, look for professional distinctions. Leading doctors will be certified by an accredited board overseeing the area of practice, have affiliations with leading hospitals and reputed industry organizations and be published in leading journals of science and medicine. This gives patients the security of knowing the physician is an authority and accustomed to adhering to the highest ethical and technical standards. At minimum, check with the Better Business Bureau to ensure no complaints have been filed by previous clients. Careful research and gathering of information about the surgeon of choice is as important as understanding the procedure itself. Interview your doctor carefully. What charities is s/he involved with? Is s/he doing related work in spare time? Are patient testimonials available? Don’t be fooled by a doctor you’ve never met touting a “drive through” procedure. Reputable practitioners are happy to take the time to discuss clients’ comfort with the pros and possible cons of their decisions and fully review clients’ health and ability to heal before any work is done. It is important to understand that the look you’ve decided on might not be the most appropriate for your skin and body type or your lifestyle. A reputable doctor will discuss these finer points with you rather than imposing the “must have nose” or some other impractical fad.